The evolution of modern technologies in the fields of communication, remote sensors, computers, and networking has transformed the fundamentals of the modern day battlefield environment and the way wars are fought. These know-hows blow up the effectiveness of the ‘nervous system’ of the fighting force and act as a force multiplier to the military’s muscle power. Digitisation enables real time visualisation of the battle picture, digital command and control besides application of fire from widely disbursed weapon platforms with high degree of precision. Integrated Joint Operations are the norms of today’s war fighting and with technical interoperability appropriately built in, the digitised battlefield provides for operational interoperability and flexibility in the employment of the instruments of war. It is now possible to exercise command and control laterally as against the present vertical chain. Digitisation is the application of multiple instruments of information technologies to acquire, process, disseminate, and employ information throughout the battlefield. The system’s interoperability is the key enabler of information battle and successful joint operations. The digitisation process links communication systems, battle space information, and command and control systems effectively and makes relevant real time information and communication facilities available to troops as well as commanders to meet the needs of the operational doctrines of the force. Digital technologies enable commanders to speed up decision making and react to developing situations rapidly. It provides for flexibility in the employment of troops besides common formats and processes for rapid processing of data. The acronym C4ISR stands for ‘command, control, communications, computers, intelligence, surveillance and reconnaissance’. Command and control is about decision making and the execution of an operational plan by the designated commander over assigned and attached forces in the accomplishment of a mission. It is supported by information technology, the products of which are the computers and communications, a part of C4I. Surveillance is the systematic observation of aerospace, surface or subsurface areas, places, persons, or things, by visual, aural, electronic, photographic, or other means. Reconnaissance is a mission undertaken to obtain, by visual observation or other detection methods, information about the activities and resources of an enemy or potential enemy, or to secure data concerning the meteorological, hydrographic, or geographic characteristics of a particular area. The start point of battlefield digitisation is the formulation of the architecture of the C4I system which will be designed based on a well-defined military strategy, integrated operational doctrine of the joint force and the force structure that is to be applied in battle. A hundred percent digitisation cannot be achieved overnight. Even after construction and operationalising parts of the scheme, the system will take time to mature. Commanders and troops will need time to get used to the arrangement. Accordingly to start with, in the Indian context it may be appropriate and realistic to cater for ‘Command and Control’, ‘Fire Control” and ‘Combat Support’ systems. Besides these three, systems that will assist in planning theater air operations, naval operations and other areas such as border management that are basic, will need configuring. The Command and Control system is meant to provide commanders an integrated means for generating, receiving, sharing, and using information securely. It includes information received through surveillance and reconnaissance resources as well as those accessed from other intelligence sources within the country and those that are accessible from elsewhere. It provides data on the exact location of friendly forces including those of other services. The Fire Control system will be an add on to the Command and Control system making use of the integrated information and intelligence inputs to facilitate employment of widely separated weapon systems of different services to enable concentration of fire accurately at the point of decision with minimal loss of time. The Combat Support System is a joint warfighting focused facility, that will provide accurate and real-time combat support information to Chief of Defence Staff (CDS), the Theater Commanders, Task Force Commanders and other commanders at various levels as needed. The Service Chiefs and the heads of support services such as Supplies, Transportation, Ordnance Stores, equipment, ammunition, Repair and maintenance facilities etc. will also be utilising the facility. The ultimate aim would be to make Command and Control, Fire Control and the Combat Support Systems available on the same workstation to provide a truly integrated view of the battlespace. A robust and a secure communication infrastructure that provides for end-to-end information transfer, is a mandatory requirement for creating a digitised battlefield environment. The network architecture would cater to integrate all available communication assets of all the three services and agencies besides military and commercial satellite communication, hired communication services, mobile and other deployable networks etc. At the tactical level easily transportable mobile infrastructure will be needed to support users who would be on the move during the course of the battle. The manner of employment of fighting units would suggest a single homogeneous network supporting all communicating entities within the battle space. At the combat troops level, fighting soldiers will be carrying a device which will have to be a network node as well as an access terminal. At the battalion and brigade level the network management requirements should be minimal and the communication system easy to establish, maintain and troubleshoot. A digitised battlefield should cater to cover the whole spectrum of the battle space with appropriate sensors to meet the information requirements of the users. 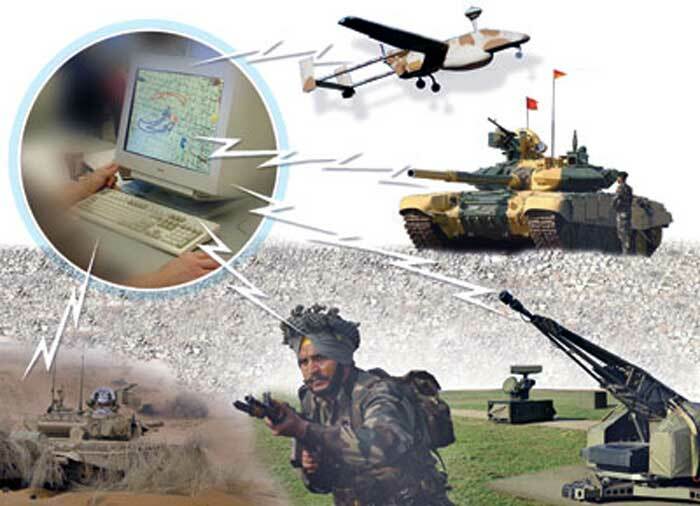 That will include thermal, infrared, sound and electromagnetic sensors, aerial photography, digital satellite, surveillance and reconnaissance systems, Unarmed Aerial Vehicles (UAV) etc. Miniaturised sensors and their processors preferably duplicated will be mounted in various platforms such as spacecraft, UAVs, aircrafts, land vehicles, ships, and personal battlefield systems and hardened as feasible. The diversity and number of sensors combined with other sources of information makes fusion of information an essential dimension of situational awareness and information warfare. Computers capable of searching large database including images, process results and make available specific information needed by commanders at various levels and presenting tactical alternatives will be a requirement. Such computers should enable easy human interaction such as catering for spoken inputs besides provide convenient displays considering that commanders at combat level will be equipped and clothed in combat attire including helmets and will be on the move constantly. Computer encryption systems will have to be built in, to transmit encrypted communication and decrypt at the receiving end. The concept goes beyond collection and display of information including those data provided by the sensors. It processes data to prevent information overload and eliminate redundancy. It handles information from multiple sources and presents meaningful real time intelligence in time, duly tailored to be of use to commanders and troops alike to plan and execute operations. This requires suitably designed appropriate soft wares which act as processors. Interoperability and integration multiplies the value and utility of the C4I systems. On the contrary, increased number of connections multiplies the vulnerability of the system to attacks routed through those connected systems. Use of commercial technologies is yet another source through which such attacks can be engineered. It therefore follows that in order to protect one’s own information systems there is a need to build capacity and incorporate reliable automated tools to inspect networks and system configurations and neutralise such threats. Congruently the need for taking the information battle into enemy’s domain by developing electromagnetic weapon systems that can disrupt and damage the opponent’s communication and other information systems at critical moments of the battle cannot be overlooked. Facilitate Exercise of Command. The system will integrate subordinate formations, units and other Task Forces within the command with facilities to assimilate those outside the command with minimum loss of time. Weapon platforms, command posts, sensors and support systems within the theater will also be incorporated, affording flexibility in the employment of resources and exercise of command. • Battlefield Awareness. It will provide commanders a clear picture of the operational situation within their part of the battlefield enabling them to assess emerging opportunities offered by the circumstances to seize initiatives besides giving them the head start to prepare and counter enemy’s moves. • Logistics. Provides commanders the ability to get a clear picture of the logistics capabilities available within his sphere of battle to support the envisaged operations, determine additional support and the time required to build capacity, communicate the logistic plan to the appropriate authority for execution and monitor build up. • Integrated Joint Interoperability. The system is expected to provide commanders the ability to exercise command without any borders. It enables lateral exercise of command across affiliated elements of forces from the other services and allows instantaneous change of groupings and change of plans to meet emerging challenges and response requirements. • Concentration of Fire Power. The massing of fire power at the point of decision instead of forces, from widely separated weapon platforms and assets of all the three services will be the norm of future. • Integration of Fire and Maneuver. As the system matures, it should enable multi-dimensional coordination of joint operations making use of the joint operational picture to coordinate and integrate fire and maneuver. • At the Tactical Level. It substitutes longwinded voice communication with real time data including imageries which are unambiguous and easy to comprehend. The network provides a common picture of the battlefield simultaneously to all levels of command and offers an instrument for exercising command over affiliated weapon platforms and supporting arms laterally ensuring speed. This affords freedom of action and greater support in terms of fire power to small task forces on independent and special missions. The capacity to rapidly concentrate forces and fire power at the point of decision and the need to maintain momentum of operations by employing the resources available at the disposal of all the three services leaves no option but to have a CDS to head the military forces of the country vested with command and control authority. The present vertical chain of command and control will have to give way for lateral exercise of command. The military strategy will shift from the present ‘weak spots’ of the enemy to the ‘nerve centers’ and enemy’s most critical capabilities suggesting the need and preparations for trans-regional mobility of forces. In such operations unified command being a mandatory requirement, it may be fundamental to establish theater based commands. Speed of movement and the need for rapidity in the employment of forces suggest smaller and compact formations. The existing army’s Divisions and Corps may need a relook compatible with the need for intermediary command and control arrangements and administration of formations in peace time. Will our committee based decision making system meet the requirements of a digitised war? Is our higher command structure consistent with the requirements of such a fast moving war and the need to take quick and critical decisions as the battle progresses? Will the political heads, bureaucracy and heads of intelligence agencies who presently take such crucial decisions have the experience and professional capability to handle situations without the CDS being part of the decision making process? This area needs a review without any prejudices and in the country’s larger interests. Digitisation of the battlefield needs to be worked out based on a well thought out time bound plan with necessary finances and appropriate procurement procedures ironed out. Technology cannot be allowed to overtake the procurement process. The phases of the project will have to be based on well considered priorities keeping in line with the war doctrine with plans for maintaining the military interoperable and operationally fit in the interim. At the tactical level sub-unit commanders and troops are not used to handling computers or even displays in the battle field. This will require cultural change and extensive training. 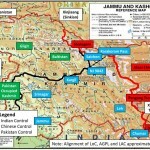 In as far as India is concerned, the advent of digitisation has brought about number of possibilities and opportunities to change the basic tenet of military campaigns from a war of attrition to sharp decisive military operations and bring about the collapse of the enemy in short time and with minimum casualties. It provides an invaluable opening to right size the Forces and to optimally utilize the funds budgeted to the defence services. 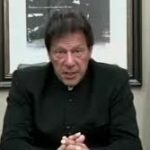 For that to happen there is an imperative need to create a CDS and make him formulate a comprehensive tri-service military strategy followed by a war doctrine and military reforms.